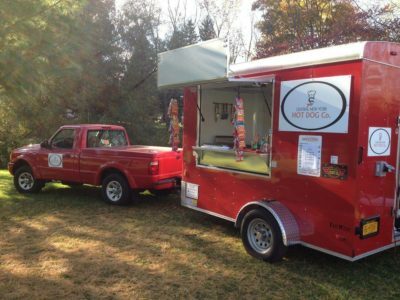 Guest post on food trailer vs cart, by Jason of the Love Food Truck Company! The concession trailer with the most bang for the buck, in my opinion, is from that crazy redneck Ben Wilson from www.hotdogcartstore.com. 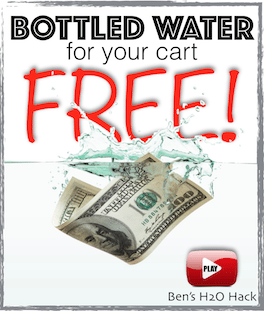 Ben has been producing some of the best carts and helping people become financially independent for years! A year ago Ben introduced the Stand King to the lineup. 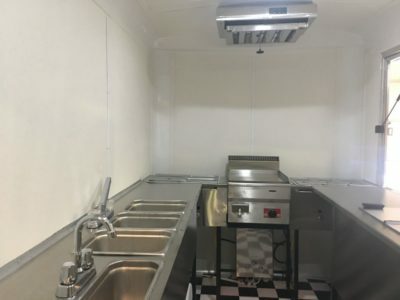 The Stand King has made the enclosed trailer an incredibly affordable option for the new or existing vendor, much like he did with the Cash Cow and Big Dog models. Ben has jam packed a lot of value into a small price tag. He also will customize the unit to your needs without breaking the bank! 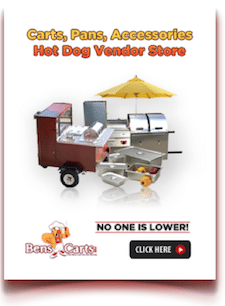 If you want to sell hot dogs and sausages or cup cakes or gyros, Ben can provide a trailer for your needs. 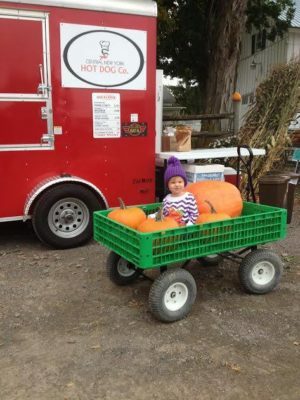 Why Choose a Concession Trailer Over a Food Cart? You may be asking yourself “why do I want to go to a trailer vs a cart?” Well, that is a great question! A trailer will let you work through the winter like I do at the ski resort. It gets you off the ground and out of the weather. Yes, you can stand outside and vend in the cold weather, but it gets old very quickly! You can vend in the rain with the addition of an RV style awning. I've had better rainy days than some nice weather days. It becomes a mobile billboard for your business. It is an incredible catering rig that can be served from or off of with tables or used inside a building for table service. The trailers are small enough to still be towed by most vehicles. If your tow vehicle breaks down, you can rent a vehicle from Enterprise or U-haul and take the trailer to your location and do your event. You can have multiple trailers and one tow/ supply vehicle to drop them off with supplies, if you run multiple locations. 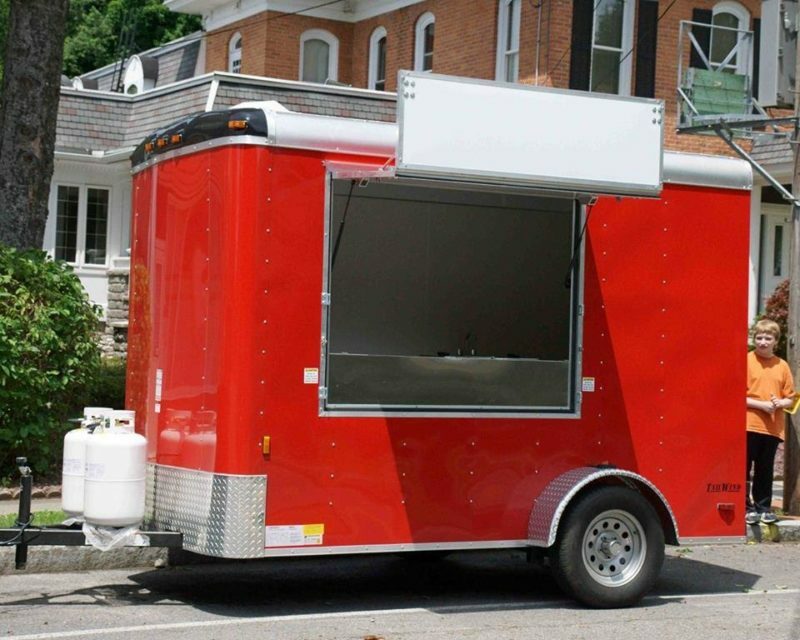 If you decide to lease or rent your trailer or trailers out, it is cheaper to buy several trailers vs one food truck. The maintenance is less than a food truck, with no driveline to maintain. 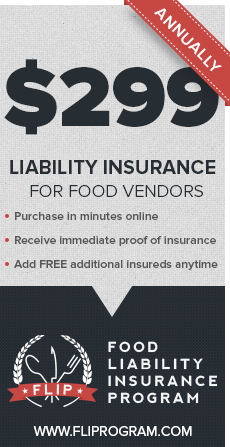 It is cheaper to insure a trailer than a food truck. It is easier to park a trailer at events and when storing between events. Trailers can actually have more storage room than a food truck depending on the build. The generator can be built-in or mounted on the tongue of the trailer. 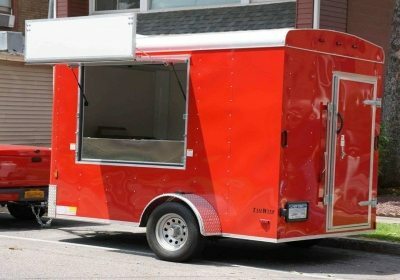 A trailer is a great mid-point between cart and food truck; it allows you to enter the mobile food game cheaper than a truck and with a bigger menu than a cart. 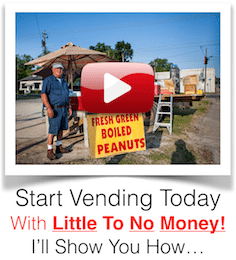 It allows bad weather vending, is cheaper to insure, easier for multiple unit purchases. Yes, you may say that I'm biased towards Ben and his products. But, I'm also a practical business man. And he makes an awesome product, as do many other manufacturers. 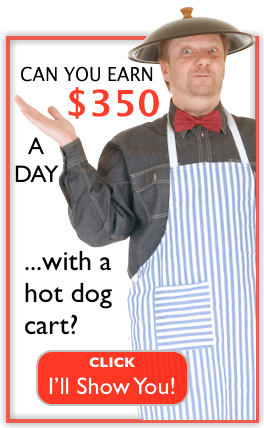 Why I Recommend the Hot Dog Cart Store? 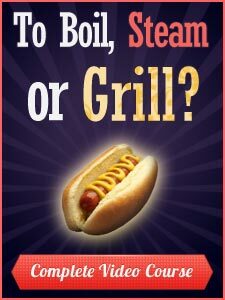 Ben over-delivers like no other food cart equipment manufacturer in the world. What do I mean by that? No, I'm not talking about actual delivery of the trailer or cart. I'm talking about how he is invested in his customers' success. 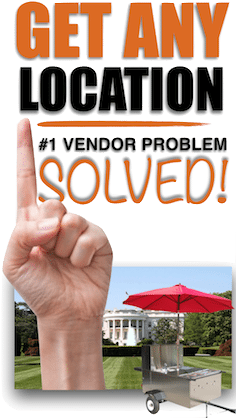 He is always adding articles and vendor training to his sites to help his customers build their business. He is always pushing the industry ahead with new ideas and discounts on insurance and products. He host shows and pages dedicated to the industry. He gives hours to people who have not even bought a cart or trailer from him. 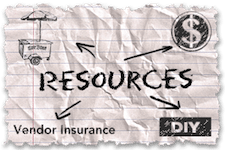 And in an industry first, he offers free training to new and existing vendors at multiple locations. And, no, you don't have to buy anything to take advantage of the free training. You just need to get yourself there and the training is free with a Street Food Pro Vendor. And that is not all. If you buy a cart or trailer in the 30 days following your training, Ben will give you $300 towards your training travel expenses! 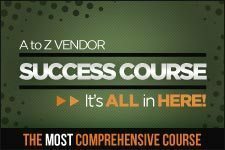 There is not a manufacturer doing training, let alone a free training! 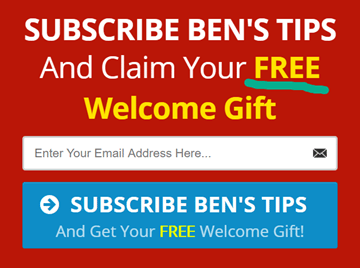 So, yes I'm a little biased towards Ben, and what he has done for thousands of vendors and the industry!